Retirement doesn’t seem to have a place in Wayne Beaver’s vocabulary. 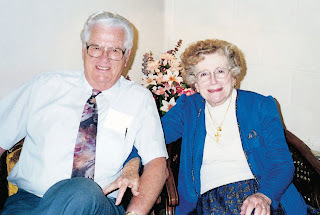 (He is pictured at right with his wife, Dorothy.) The veteran missionary and emeritus professor at Grace Theological Seminary is now helping his son, Dan, begin a Bible school in the Philippines. To learn more, see the March-April issue of FGBC World, which is available at your local church or on the web. FGBC World is the bi-monthly newspaper for the Fellowship of Grace Brethren Churches. Printed copies of the March-April issue have been shipped to each church in the Fellowship and may be obtained there at no charge.